Frank Wootton was the Official War Artist of the R.A.F. during World War II. He would go out to the airfields and sit with his easel and paint the action that was happening every minute of that day. 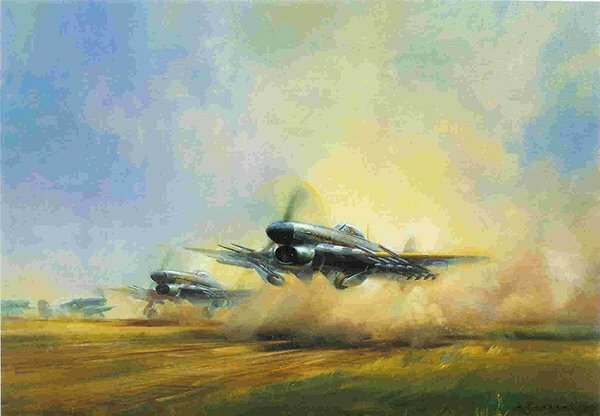 This beautiful painting of Typhoons taking off into battle - is a wonderful example of his work for the R.A.F. KCB, CBE, DSO, DFC, AE.